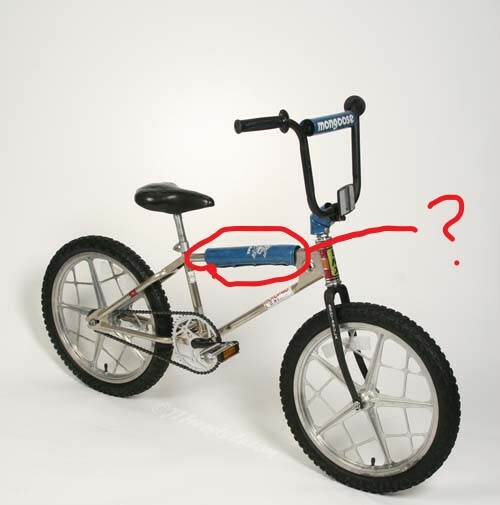 What is the foam tube found on some bmx bikes for? Besides for advertising, I'm guessing its there to save biker's legs when doing tricks, but I could be wrong, because I've seen most bmx bikes without it. It's to ensure that young boys who ride BMX bikes will be able to have children when they grow up. Fine print: More accurately, it’s to assuage the worries of the parents that are buying the BMX for their young male child that they might not have grandchildren. Actually efficacy for such purpose is under debate. It's to give the illusion of safety. 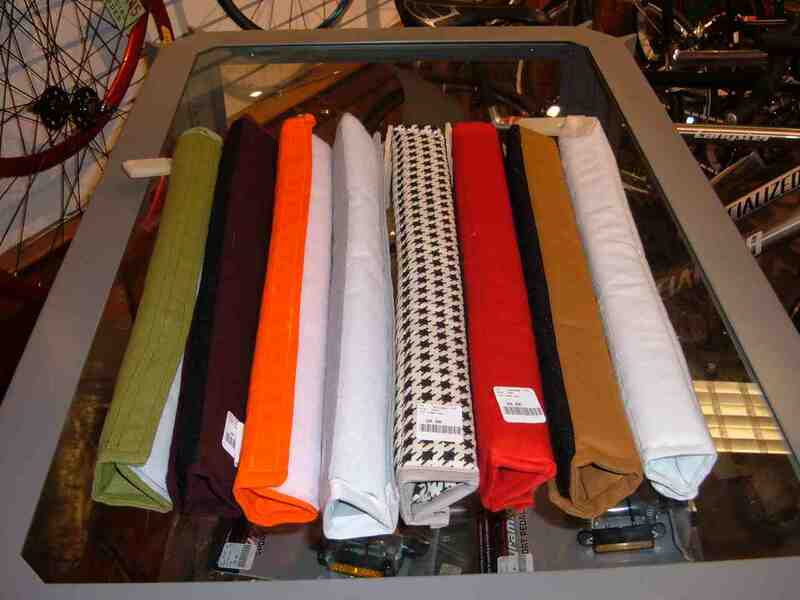 It's call TOP TUBE FRAME PAD or TOP TUBE PAD. These were first seen on BMX bikes back in the 1980s, and did about as much good than as today. A thin foam cylinder wrapped around the top-tube does little to protect the family jewels from a whack, but it does at least protect the knees from a knock when you bail on a 360º endo. For a fixie, though, it is nothing more than posing — if the riders were that worried about safety, they’d buy a top tube pad. price around $10-$30 (Not exactly). For everyone who laughs of that foam tube: it's not a joke! It's exactly to save biker's legs as you guessed - for flatland bmx. And you've seen most bmx bikes without because nowadays it's cool not to have as little parts as you can on the bike. Not the answer you're looking for? Browse other questions tagged parts bmx or ask your own question. Headset can't tighten enough without stiffening steering, damaged bearing retainers? 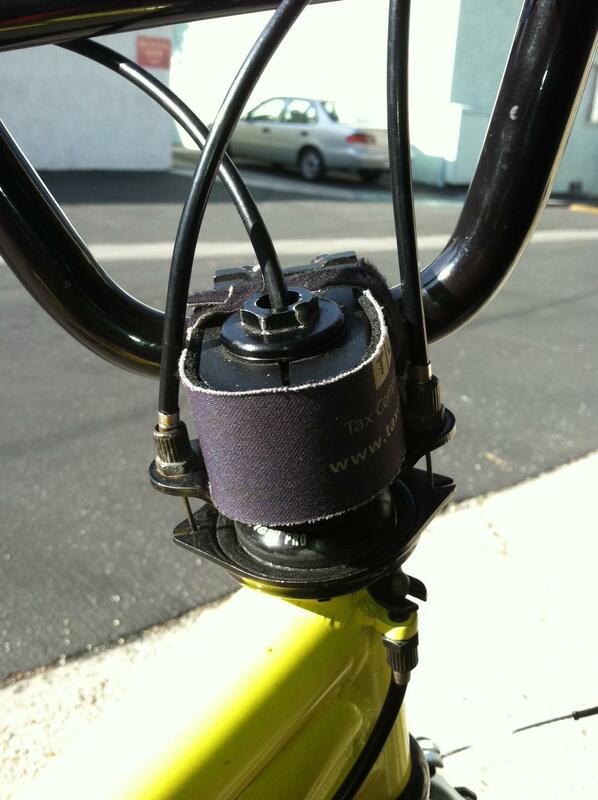 Ghetto Tubeless w/ Gorilla Tape on a BMX Bike or Dirt Jumper - Good Idea?